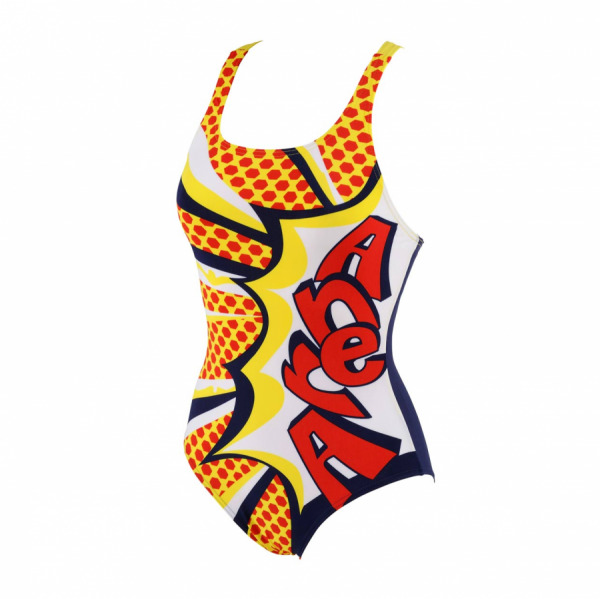 The navy blue, red and yellow Arena Marseille swimsuit features a pixel art theme. The Arena Waternity material makes it great for regular pool use as it is an easy-dry material which is chlorine and sunlight resistant. 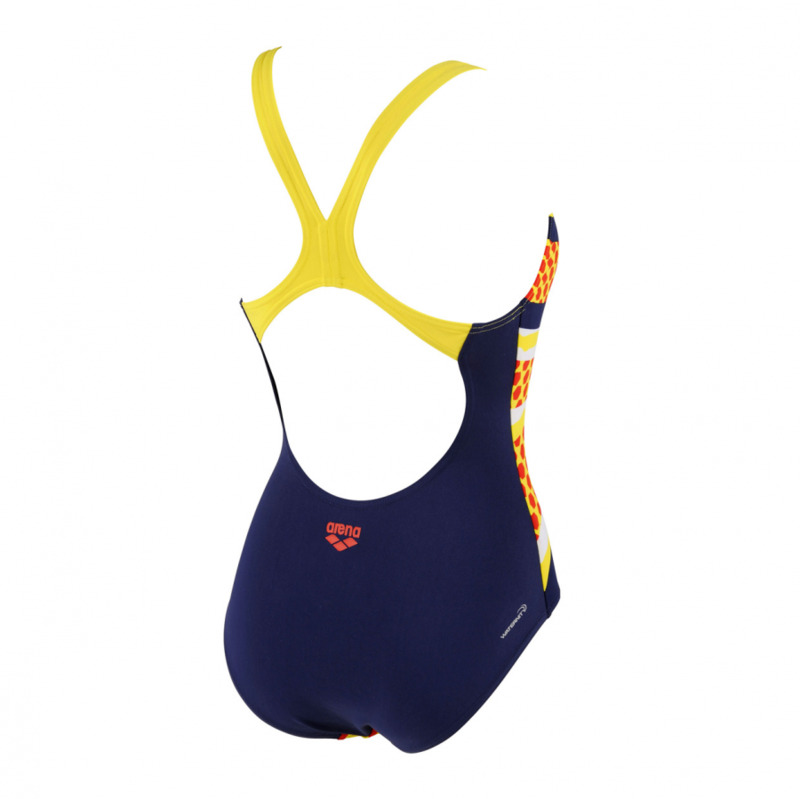 It has a ‘swim pro’ back which is particularly comfortable for training as the shoulder straps are designed to provide maximum freedom of movement whilst still providing superior breast support.